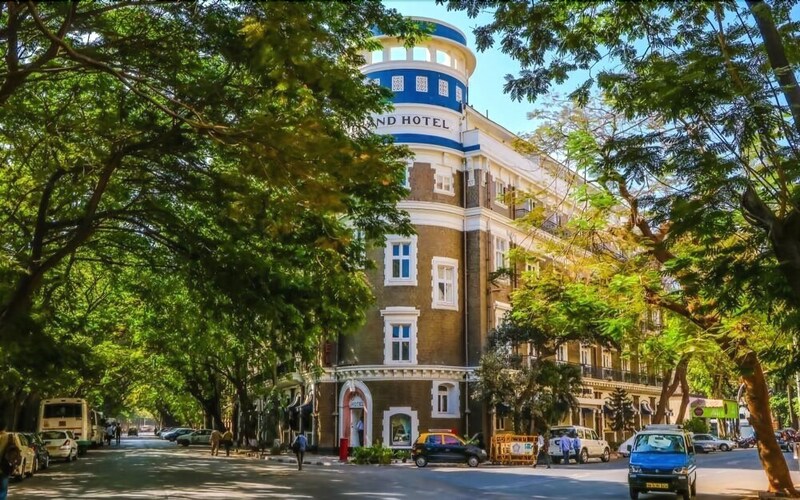 Located in Fort, this hotel is within 1 mi (2 km) of Fashion Street Market, Colaba Causeway, and Crawford Market. Jehangir Art Gallery and Marine Drive are also within 1 mi (2 km). Chhatrapati Shivaji Maharaj Terminus Railway Station is 11 minutes by foot and Mumbai Churchgate Station is 23 minutes. This smoke-free hotel features a restaurant, a fitness center, and a bar/lounge. Buffet breakfast is free. Other amenities include a coffee shop/café, a conference center, and self parking. All 70 rooms feature comforts like memory foam beds and premium bedding, while conveniences include refrigerators and coffee makers. Free WiFi and DVD players are standard, as are TVs with digital channels. Dining options at the hotel include a restaurant and a coffee shop/café. A bar/lounge is on site where guests can unwind with a drink. Guests can enjoy a complimentary breakfast each morning. Event facilities measuring 4975 square feet (462 square meters) include a conference center. This Edwardian hotel also offers a fitness center, tour/ticket assistance, and coffee/tea in a common area. For a surcharge, a roundtrip airport shuttle (available 24 hours) is offered to guests. Parking is available onsite for a surcharge. Grand Hotel is a smoke-free property. Cinnamon - This restaurant specializes in Indian cuisine and serves breakfast, lunch, and dinner. Guests can enjoy drinks at the bar. Start your day with a free buffet breakfast, available daily from 8 AM to 10:30 AM. You can order up room service during limited hours. Couples wishing to share a room must provide proof of marriage. This property offers transfers from the airport (surcharges may apply). Guests must contact the property with arrival details 24 hours prior to arrival, using the contact information on the booking confirmation. Only registered guests are allowed in the guestrooms. No pets and no service animals are allowed at this property.